Looking for the best mid-range smartphone with killer features like high-end smartphone than your dream soon going to convert into reality as Chines smartphone giant Xiaomi going to launch its next generation mid-range 4GLTE smartphone, Xiaomi Mi 4s with 20.7-MP Camera, 64-Bit Snapdragon 810 processor, 5.7”-inch Full HD sapphire glass display, Android 5.0 Lollipop, 3500mAh battery, Heart rate monitor, Fingerprint sensor. If rumors come true Mi 4s will launch at CES 2015 will be available in Q1 2015 priced at Rs 20000 (1999 YUAN). It will lock horn with Apple, Samsung, HTC and SONY in high-end smartphone market. According to Rumors, Xiaomi Mi 4s will support Dual-SIM with Dual-Mode(GSM+WCDMA), 4G LTE, 3G, NFC, Wi-Fi, Bluetooth, USB and GPS offer you a 5.7”-inch full-HD sapphire glass display with resolution (1080×1920 pixels) and Corning’s Gorilla Glass 3 technology for stunning 180-degrees of wide-angle viewing – perfect for watching videos with friends. Xiaomi Mi 4s will run on most advance Android Lollipop OS dubbed MIUI version 6 powered by a 64- Bit quad-core Qualcomm Snapdragon 810 clocked at 2.5GHz with 3GB RAM giving you blazing multi-tasking experience while 16GB internal memory expandable up to 128GB via MicroSD card will help you to store your favorite movies, songs, apps and games. Xiaomi Mi 4S is coming to replace your camera because it’s combines dual- powerful camera which includes 20.7-MP rear camera with dual-LED flash with Sony CMOS Sensor and 8-MP front facing camera for clicking selfies and making video calling. Great thing about Xiaomi Mi 4S, it’s powered by a powerful 3500mAh Li-ion battery with battery stamina mode including innovative features like heart rate monitor and fingerprint sensor. Price in India Rs 20000 (1999 YUAN). 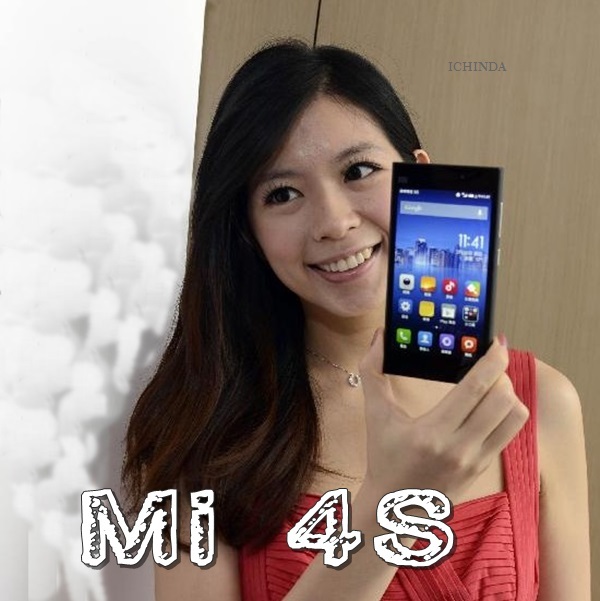 At last few honest word to say that the all new Xiaomi Mi 4s is coming to rule the mid-range smartphone. What you think? Please stay tuned for more updates.